With the plethora of books on the market, it was time for something new. Several years ago, camera makers began adding digital video to their camera bodies which opened up a new world for bird photography. This sparked an idea that ultimately evolved to Hawks on the Wing. 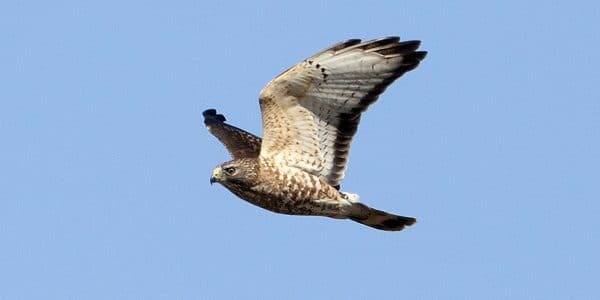 While this is not the first time video has been integrated into hawk identification, it’s the first of its kind in that the viewer can see two hawks flying on-screen, side by side while audio commentary steps the viewer through ID. This project is also focused on flight ID alone and not intended to be a field guide. 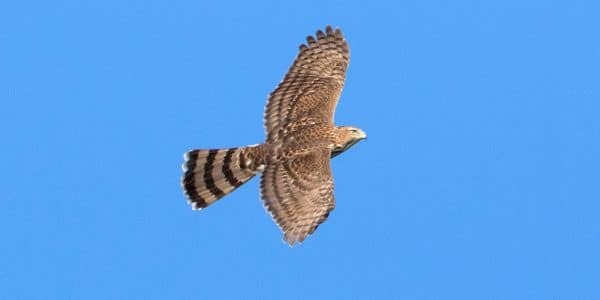 16 Eastern North American hawk species are included in this video. 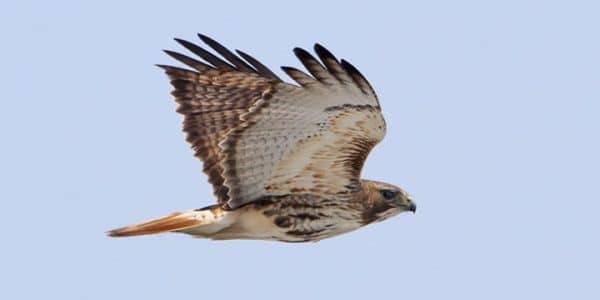 These species represent the mainstay of hawks that migrate by Eastern North American hawk watch sites every Spring and Fall. 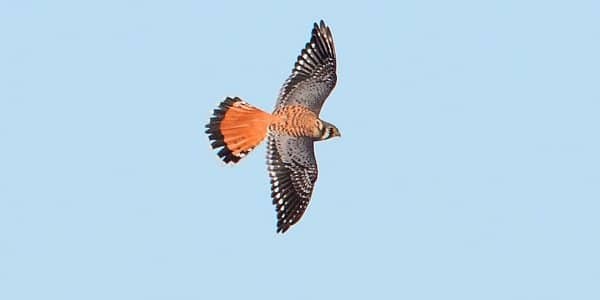 Whether you find yourself at Hawk Ridge, the Detroit River Hawk Watch, Hawk Mountain or Cape May all of these species can be seen. 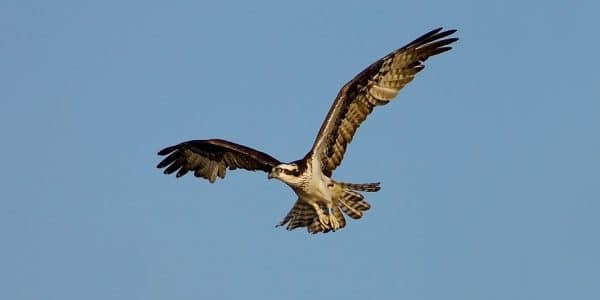 The beauty of this video is not just in seeing tough species flying side by side, the user can pause and repeat as much as needed and even mute the audio to take it to the next level! Video takes hawk ID to the next level, however problem areas still exist (i.e. Cooper’s Hawk vs. Sharp-shinned Hawk). I realized after gathering enough footage years ago, clips could be combined in a split-screen format. After some failures, time and patience, I settled upon a format that worked. Adding voiceovers, glide profile silhouettes and stopping the footage at key times created something new and innovative. Time in the field with veteran hawk watchers will always be the best way to learn, however this video is a wonderful supplement and the next best thing! This video is focused on hawks in flight, better enabling birders to make positive ID when poor lighting and lack of field marks exist. If you have ever experienced hawks in flight, field marks are rarely helpful, if even seen. 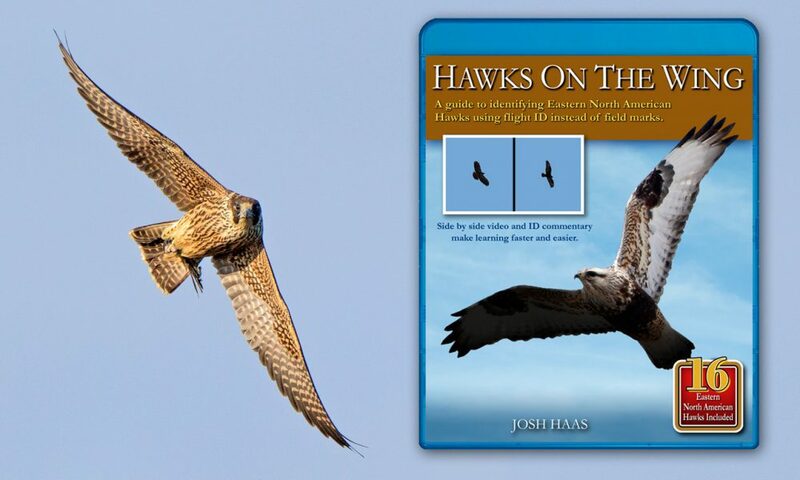 There are a number of outstanding hawk ID books (my favorite is the first addition ‘Hawks in Flight’ by Dunne/Sibley/Sutton). Illustrations and words only take it so far, video and voiceover are the next best thing to being at a hawk watch learning from experienced counters.